Is work getting to you? Find yourself listening to a lot of dribble? Feel like slam dunking your boss? Here is the perfect way to take Time Out... Swisssssshhhhh... Super Sale Buy Now Quanity Limited!! 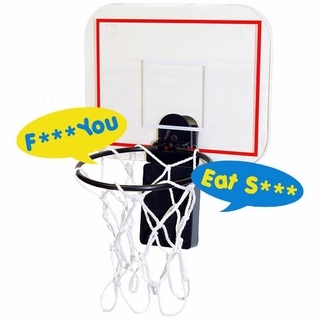 The Swearing Waste Basket Hoop, attach it to your waste basket and throw in your trash. Every time your score you hear it cuss and swear! Turn your trash into fun!